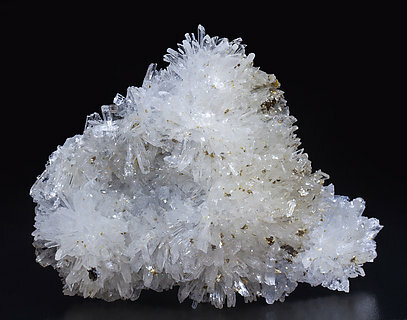 The Olshanskyite from the Shijiangshan Mine was previously well-known for its quality, largely overtaking the best known to date for the species. But a very recent find has raised the roof of quality to unforeseen levels. From this new find we had the opportunity to select from the best samples found. 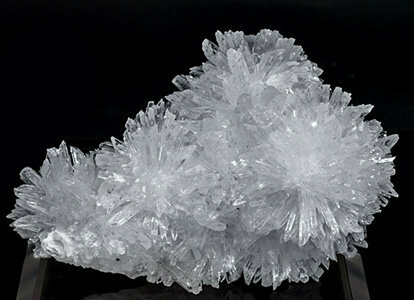 They are aggregates with crystals, some of them very elongated and very well differentiated, clear, colorless and extraordinarily bright, with very sharp crystalline forms. The great quality of the pieces offered here, due their neat shape, the beauty of the aggregates and the crystal size, make them deserving to be in the best private and museum collections. 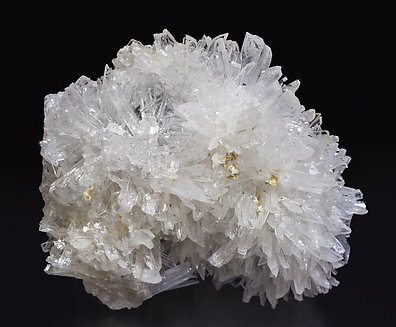 Druse, on matrix, of well-differentiated elongated crystals that are transparent, colorless and extraordinarily bright with very sharp crystalline forms. 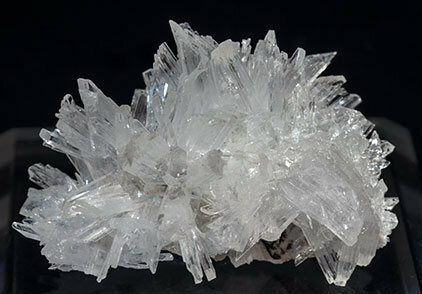 On the Olshanskyite small Andradite crystals have grown. 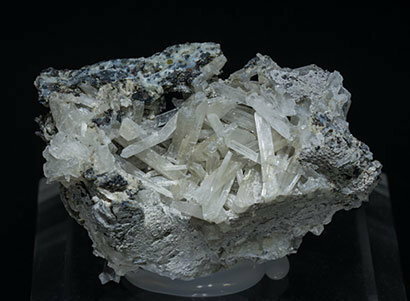 The Olshanskyite from the Shijiangshan mine was previously well-known for its quality, largely overtaking the best known to date for the species, but a recent find has raised the roof of quality to unforeseen levels. The sample has been analyzed and we’ll send a copy of the analysis to the buyer. 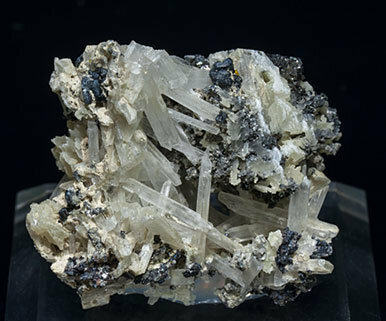 Aggregates of Olshanskyite crystals that are white and transparent, with a silky luster and on matrix, with Wurtzite, Andradite and Galena. The Olshanskyite crystals from Shijiangshan, that can be considered among the best in the world, have been carefully analyzed to avoid possible confusion with other similar calcium borates. The results of the first Raman analyses were not coincident with the previously published data, so their study has been supplemented with thermal and XRD analyses, whose results are coincident with those of the type samples. For further information you can use the link at the top of this section. 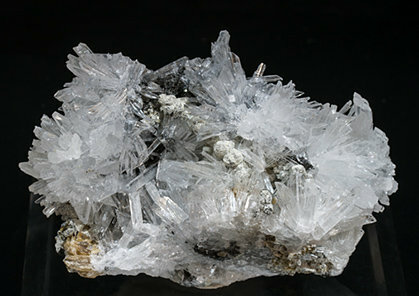 Aggregates of Olshanskyite crystals that are white and translucent, with a silky luster and on matrix, with Wurtzite, Andradite and Galena. 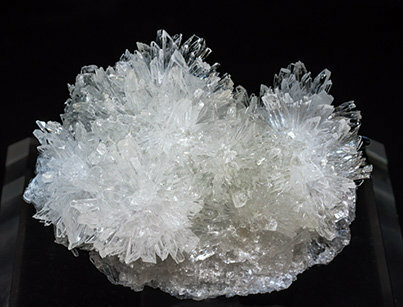 The Olshanskyite crystals from Shijiangshan, that can be considered among the best in the world, have been carefully analyzed to avoid possible confusion with other similar calcium borates. The results of the first Raman analyses were not coincident with the previously published data, so their study has been supplemented with thermal and XRD analyses, whose results are coincident with those of the type samples. For further information you can use the link at the top of this section. 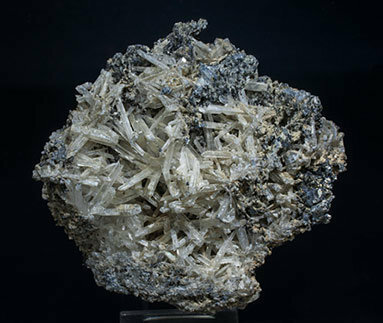 The Olshanskyite from the Shijiangshan Mine was previously well-known for its quality, largely overtaking the best known to date for the species. But a very recent find has raised the roof of quality to unforeseen levels. 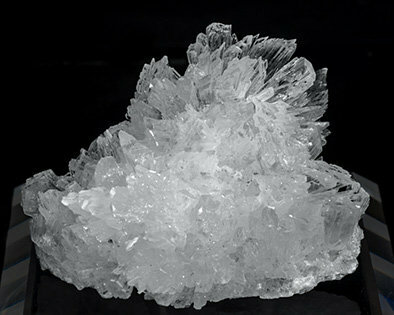 The sample, included among the best samples found from this new find, forms elongated and very well differentiated crystals that are clear, colorless and extraordinarily bright, with very sharp crystals. They are on matrix, with Roweite and Andradite crystals with a white coating of a silicate that very probably is altered Andradite.